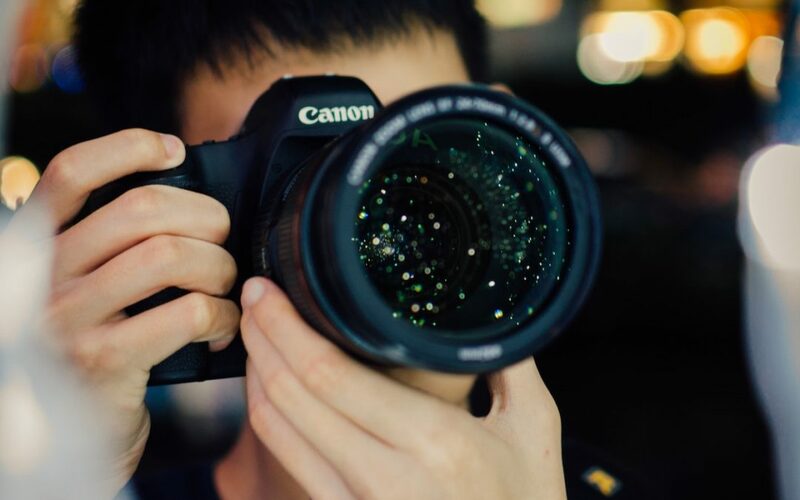 6 Simple SEO Wins for your Photography Website - wemakestuff - Handcrafted web solutions designed with care and support specifically for small business and creative professionals. We know Search Engine Optimization (SEO) can be hard work. With Google’s constantly changing ranking factors, often times it’s like trying to hit an ever-moving target. And with the countless articles out there with the 100’s of tips of what you should or shouldn’t be doing, it can be overwhelming. So we’re here to make it simple – below you will find 6 quick and simple actionable wins to help improve your photography websites SEO performance, without worrying about content (for today). Ok, this isn’t really a hack, more just something you really, really should be doing already. If you don’t know what your traffic looks like, where it’s coming from or how people are finding you, you need to get on that STAT. While this is is service we provide for clients (ok, that was the only shameless plug I’ll make) you can also easily do this yourself by using Google Analytics and Google Search Console (formerly Webmaster Tools). pro-tip: Be sure to link your Google Analytics and Google Search Console accounts! This lets you associate keyword data with website behavior and conversion metrics. You can see how many impressions, clicks, and average rankings your landing pages are generating, which is super useful in prioritizing your SEO efforts. Ok, this is a loaded one. Google announced back in 2009 that Title and Meta Description does not factor into search rankings. With that being said, having a great title and Meta Description plays a HUGE factor in click-through rates from the SERP (or Search Engine Results Page). And you know what does factor into search rankings? click-through rates. For that reason, among others, it’s important to put some effort into meta descriptions. The meta description tag serves the function of advertising copy. It draws readers to a website from the SERP, and thus is a very visible and important part of search marketing. Crafting a readable, compelling description using important keywords can improve the click-through rate for a given webpage. To maximize click-through rates on search engine result pages, it’s important to note that Google and other search engines bold keywords in the description when they match search queries. This bold text can draw the eyes of searchers, so you should match your descriptions to search terms as closely as possible. pro-tip: Even though you may change your Meta Description and Title, there are a variety of factors that can cause it to take some time to update on the SERP. One way to potentially get it to update a bit faster is to submit your page manually for indexing once you’ve made your changes. Page speed is also important to user experience. Pages with a longer load time tend to have higher bounce rates and lower average time on page. Longer load times have also been shown to negatively affect conversions. While there are many ways to make your site super-duper-fast, I’m going to hone in on the easiest, and perhaps the simplest one, Image size. Be sure that your images are no larger than they need to be, that they are in the right file format (PNGs are generally better for graphics with fewer than 16 colors while JPEGs are generally better for photographs) and that they are compressed for the web. pro-tip: Want to “smush” your images in a hurry? If you’re on WordPress, grab one of these image compression plugins to do your images in your media library in bulk. While it should go without saying at this point (given that it’s 2018) I’m going to say it anyway – if your site isn’t mobile friendly at this point, it needs to be! With 51% of all web traffic coming from mobile devices, you are potentially missing out on half of all web visitors. Just as important though, your losing valuable “Google juice”. Back in November 2016, Google began experimenting with mobile-first indexing – meaning that its algorithms will primarily use the mobile version of a site’s content to rank pages from that site, to understand structured data, and to show snippets from those pages in our results. So guess what? If your site’s not mobile-friendly, this is a big ol’ fail. Now, keep in mind that the mobile-first index does not affect what Google has considered being mobile friendly, and your site will not be rewarded or penalized in the rankings based on your mobile friendliness. Instead, the impact of mobile-first indexing will come into play if your mobile and desktop sites are significantly different. For example, if the mobile version of a page of your site has significantly less content than the desktop version, the mobile version will now be treated as the primary version, which could have a significant bearing on your visitors’ impressions of your brand and site. Mobile-first is also important because it reiterates Google’s commitment to appealing to mobile users. pro-tip: Even though you think your site may be mobile friendly, run a quick test through Google’s Mobile Friendly Checker just to be sure. This way you can see your site exactly how Google might see it. So back in 2014, Google announced that going over to HTTPS would give you a minor ranking boost and to this day, it still holds true. Yet, many people have missed out on making this update. While Google says this gives websites only a small ranking benefit and carries less weight than other signals, such as high-quality content, they have decided over the years to strengthen the signal because they want to encourage all website owners to switch from HTTP to HTTPS (to keep everyone safe on the web). If you’re using a good hosting provider (or a decent web person worth their salt) they’ll have set your site setup using https already (Some WordPress hosting providers, like the crew over at Flywheel, include an SSL certificate for your site completely free). Alternatively, you can grab third-party SSL certificates from companies like NameCheap for about the cost of a Trenta Frappuccino. To install the certificate can be complex or drop dead simple depending on your host (usually Good Host = Drop dead simple, Bad Host = Super complex). pro-tip: If you’re forcing users to the ‘https’ version of your pages, make sure your images and other content are using relative URLs or linking to the https versions to avoid potential errors when your clients view your site. So your photography website is blazing fast, mobile-friendly and you’re using HTTPS. You’re monitoring traffic with Google Analytics and search traffic with Search Console. You’re all set, right? Not exactly. If Google thinks that your site is infected with malicious software, it will blacklist your site. They call it quarantining, but regardless of the term, your site will be flagged or removed, which means your search rankings will plummet. This happens to around 10,000 websites daily. If your site’s been blacklisted, you can expect to lose about 95% of your traffic. Not to mention the mess that’s cleaning up your site after a hack. So how do you avoid getting hacked? Well, we could write a whole blog post on this specifically, but here are a few quick pointers. If you’re a WordPress user, you’ll want to stay up to date. This includes keeping WordPress core files current as well as plugins. You’ll also want to frequently do an audit of the plugins you are using and remove ones that aren’t in use. Creating complex passwords? Yeah, you’ll likely want to do that too. pro-tip: If you find yourself challenged for the time in keeping things like WordPress updates in check and managing security, you can also find a great host to do that kind of stuff for you, like our friends over at Flywheel (or you can always feel free to give us a shout). So that’s it – 6 quick and dirty tips to help improve your Search rankings without even touching your content. And while your mileage may vary, depending on a multitude of other ever-changing ranking factors, these quick wins should get you pointed in the right direction. Have feedback or seen results from these items? Drop a note in the comments and let us know! Then let us do you a favor and put together a complete SEO review for your site – completely free.